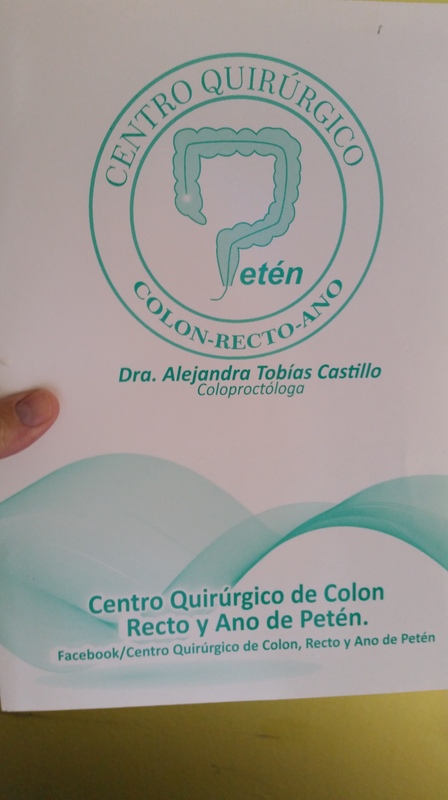 The information on this folder about the Guatemalan doctor who is treating me and my colon malady, Dra. Alejandre Tobia, is probably obvious to you who read only English. She’s a specialist in doctoring the colon and, uh, the hindquarters. Odd new things are happening in my life these fading days of 2017. The oddest thing being that I’ve lost 24 pounds since Nov. 15. I’m digging clothes out of the closet that I always thought, and hoped, I could fit into again. Strange things, good and bad things, happen when you’ve been diagnosed with the colon malady diverticulitis (learn more about it here). The bad thing for me being that, until Jan. 8 when I return to a doctor for a followup visit, I have to take gobs of medications and fiber galore — and maintain a strict diet that includes nothing fun to eat during the holidays. Merry Christmas to me, huh? The good thing about this otherwise dreadful disease I’ll have for life is that I’ve been forced to commit the rest of my living days to maintain a healthier diet (and maintain this slim weight I’ve recovered). If I don’t, I’ll be getting as sick as I was for a month before I understood what was happening to my body and gastric system. I do not, by the way, recommend the diverticulitis crash diet as a way to shed those pounds you’ve be trying in futility to shed for years so that you can fit into the skinny clothes you mothballed in a closet. If you want to lose weight in a healthy way — especially if you’re a senior — count your calories and step up the exercise or call Marie Osmond who lost all those whopping pounds on that diet she hawks every five minutes in her TV commercial that has to be the longest-running commercial in TV history. Maybe you’ve heard of diverticulitis. Perhaps you have this ghastly gastric thing yourself, or you have a parent, sibling, cousin, son or daughter, or a dear friend who has it and lives a good, active life with it, as I fully intend to do. I never knew that so many of my own friends — and I mean a surprisingly high number of good friends and mere acquaintances who are healthy and active — live with this same disease I will gladly live with. And I’ll gladly take this colon affliction over colon cancer any day. 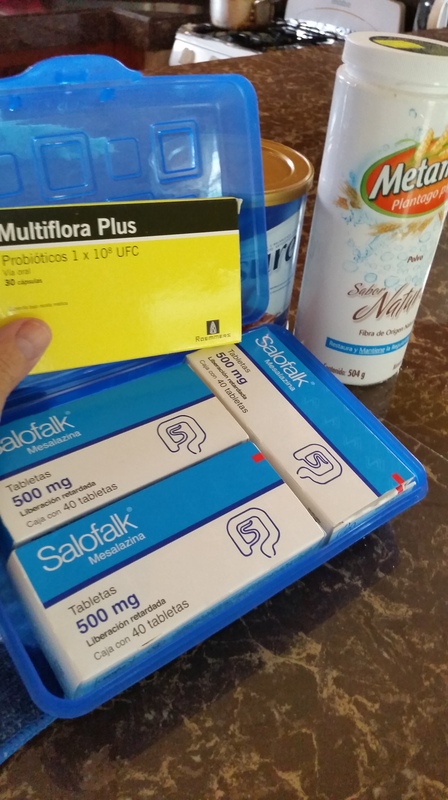 For quite a few worrisome days, the possibility of my having colon cancer loomed over me in anticipation of an examination and colonoscopy by Dr. Alejandre (Ale) Tobia. Ale is the gastric specialist in Flores, Guatemala whom I saw last Thursday and Friday for medical attention. Un abrasso being Spanish for a hug. “You do not have cancer” were the words I had been hoping and praying to hear in my road trip to the clinic in San Benito, Guatemala, a town just across the causeway from the colonial town and paradise island that is Flores. The biggest bill for my consult and exam with the doctor, followed by a colonoscopy in her clinic the next day, came to about $5,000 Guatemalen Quetzlazes — which is about $700 U.S. bucks. The entire trip including a heart exam, lab work and the cost of three nights in a hotel brought the grand total of my three-day medical trip to about $1,000 U.S. dollars. 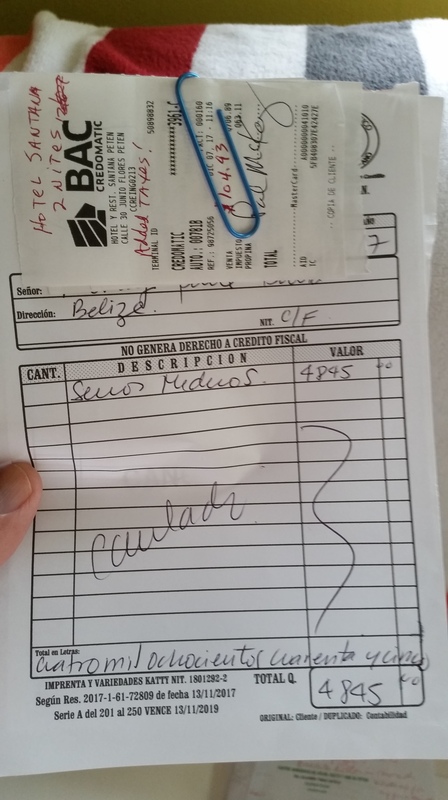 So let’s break down the entire $1,000 U.S. dollar bill I spent on a three-day trip for care from this private-practice doctor and her San Benito clinic in the Flores area of Guatemala. Flores is a beautiful little resort island in north Guatemala that is only two hours and some minutes by bus from my home in Belize. It is accessible by a causeway that feeds traffic and tourists onto the island from the cities of San Benito and Santa Elena, both of which have all kinds of medical facilities, laboratories, general physicians, and many skilled specialists. So I paid omy doctor on credit cards (I have low, limited income, good, unlimited credit) a total of U.S.$650 I owed her for all her two days of medical attention. However, I paid cash for the lab tests and some cardio tests and lo! — I forgot to get receipts. But I will retrieve them on my return trip to the Flores-area clinic next month for a followup. I’m thinking that once I have all the bills and receipts in hand, it will show that I spend $1,000 for the three days in the Flores area, including the costs of three nights at a budget-resort hotel with a gorgeous view on a terrace of the lake surrounding the island. Try getting that much medical attention — and a stay at a quality hotel with a view near the medical center you need — for a grand total $1,000 dollars in Houston or Anywhere, U.S.A. The entire $1,000 I spent in my entire three days in Guatemala — and oh yeah, it includes round-trip bus fare — is less than I would have paid back home in Texas for deductibles and copays on any kind American health insurance these days, including supplemental Medicare. Look, I’m not saying Guatemala and Mexico (and even Belize with its mostly awful medical care but dirt-cheap pharmaceuticals imported from the U.K.) are as advanced and civilized as the U.S., or . . . Canada, the ultra-civilized and progressive nation north of America. Like Mexico, Guatemala is an extremely spotty country, with pockets of ultra-modernism and civilization and thriving tourism in (safe) spots here and there, but with thousands of towns and villages plagued by violence (especially against women) and rotten, wrenching poverty. A lot of Guatemalens, at least those not stuck in so many of the far-flung villages in the jungles, do have access to health care that is just about equal, by and large, to that in most of the United States and other advanced countries at prices that don’t bankrupt people who can access the care. If you’re poor or homeless or slugging away at one, two or even three low-income jobs without insurance or the ability to pay copays or deductibles in America, you may very well die from some malady that a well-to-do and certain a wealthy American will obtain. You’re no better off than a poor peasant in remote Guatemalen village. In a way, America’s health care has been being steadily “Guatemalagized,” if you will, for decades, always easily accessible to the rich and well-employed and, of course, to presidents and members of the U.S. Congress. Again, in the political season last year, we were promised health care so great we would get tired of great health care — not to mention the kind of cheap prescription drugs I buy from my friendly pharmacist at even cheaper discount prices (I buy three meds in 90-day supplies) here in third-world Belie. And it’s all about that old-fashioned American greed. *On a more cheerful note, here’s a blog post a retired American couple, who travel the world in their happy retirement, wrote about their experience at Guatemala’s beautiful and rather quirky resort island Flores, and the cities of San Benito and Santa Elena. I don’t know the date it was written but it is slightly dated in terms of prices, but not much. All in all it’s a fun and rather accurate look with lots of pictures of that little paradise island Flores, where I hope to have some fun and relaxation on my return trip for a followup at the doctor next month. Couldn’t agree with you more on your thoughts. I’m checking out https://www.libertyhealthshare.org/ to use instead of insurance. Definitely considering it for my 26+ kids when they go off family plan. One of my kids w/4 kids just switched to it. Doesn’t do much for the inflated prices but gives you great option to shop for including alternative care. I like the concept. I guess there are other health sharing programs out there. A powerful and truthful indictment of our disastrous health care system in the US. You’ve nailed it here.